Providing experienced business development services to small and start-up organisations to help exceed your targets for years to come. 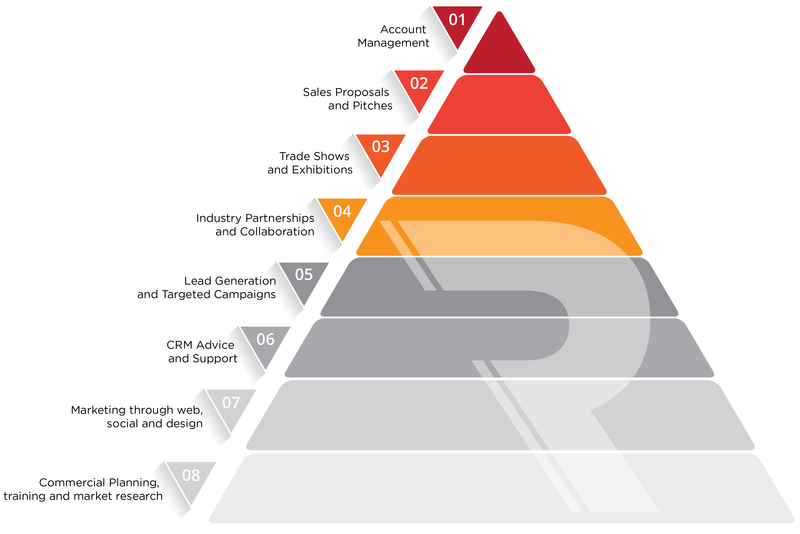 Return on Development (RoD) is your sales and business development partner, with a twist! Many Business Development companies will offer experienced based consultancy, however the experience offered may not be suitable for your company and more importantly your clients. At RoD we have a certain culture, a unique philosophy that is within the DNA of our company. If our partnership with you is to succeed RoD must understand your company, your services and the expectations of your clients. Our commitment to you is to immerse ourselves within your company and be an integral part of your business development team. Reporting directly to your management, working tirelessly with your team and speaking regularly to your clients and prospects. This ‘Hands-on’ approach will ensure RoD will become a successful element of your business development plans. Developing a company Sales Plan aligned with your long term business plan. Regular in-house training to train other members of your staff on the business development process. Researching the markets and competition to better equip your company. Advice on, or implementation, of your company’s advertising, design and marketing plan. Generating leads from the status of ‘cold’ through to repeat business. Networking at exhibitions, meetings and through online business networking groups. Selling your services/products in your way. Preparation of sales proposals and agreements to directly meet the requirements of your client or any tender process. Establishing key contacts with suitable partners, associations, trade bodies and regulators. Preparing and delivering suitably dynamic sales pitches. At need Account Management for any of your specific high profile clients. Alternatively, RoD can offer all of the above services in a single package. Finding, preparing and submitting tenders on behalf of the client.